Herbal sleep pillows are a wonderful way to incorporate herbs into the lives of your friends and family. They are simple items: fragrant herbs stuffed into small pouches and then placed inside the pillowcase of a favorite pillow. The scent helps the person sleep well and can even help create vivid dreams depending on the herbs used. 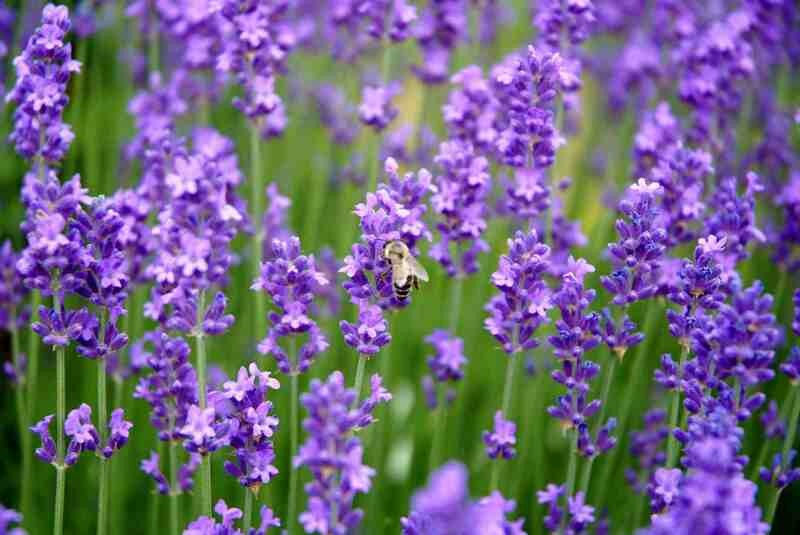 Known for it's relaxing properties, lavender is a wonderful herb to add to a sleep pillow. Used alone, lavender buds bring a restful quality to sleep for young and old alike. Don't worry if you don't think that you like the scent of lavender. 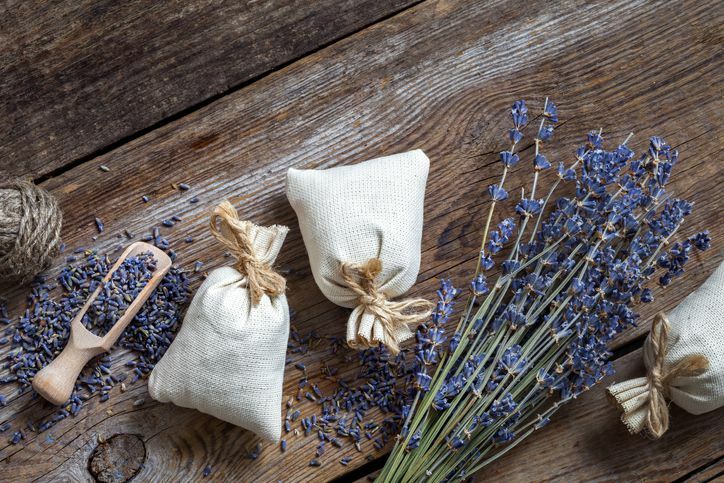 The store-bought variety of items with a fake lavender scent don't hold a candle to the rich, heady scent of real lavender buds. If you didn't grow lavender in your garden this year, it is readily available at any herb shop and tends to be pretty inexpensive. Only use tightly formed buds, however, as the scent will last longer that way. If the lavender seems to be losing its scent, gently crushing and breaking up the buds slightly will help release even more lavender oils. You can also rejuvenate your lavender sleep pillow by adding a few drops of essential oil to the pillow after a few months have passed. There's so much more to hops than beer! Long used to promote restful sleep, hops are very relaxing. Use hops to calm the nerves; they are perfect for the night before a big test or to help your college student rest in a new environment. What herb is more sweetly scented than the tiny bloom of chamomile? This naturally apple scented flower is just the thing to relax you into slumber. Children are especially in love with the delightful fragrance, making chamomile the perfect stuffing for any sleep pillow made for your youngest gift recipients. For a fun way to present the idea of using herbs to relax your children, try making a simple stuffed animal with a hidden pouch in it. Then, make a mini pouch that fits into the pouch. That way, your child can snuggle and enjoy that relaxing fragrance as they drift off to sleep. Rosemary may seem like an interesting herb to include in a sleep pillow, but it actually is a lovely addition. Unlike the previous herbs, rosemary actually helps you have vivid dreams. For many of us, sleep ideally is a time to cope with our daily lives. For those of us who believe in this idea, dreaming can be the way to work out issues and help us feel balanced during the day. Include rosemary in small amounts to see if it has this clarifying effect on your dreams. Long known to also help also stimulate vivid dreams, mugwort is an unusual herb to grow. Combining it with rosemary, you have an herb pillow that also helps your dreams become much more interesting. Mugwort is known to help relieve bad dreams and anxieties as well as help with sleeplessness. Any combination of these herbs will create your own unique sleep experience.